Huawei announced that their P30 would include a periscope zoom camera with at least 5x magnification. To show off the feature, Richard Yu, CEO of Huawei’s consumer business group, published a sampling of photos on Weibo ahead of the device’s launch. You shared nine ads that were seemingly taken with the P30’s camera, highlighting the phone’s superb “periscope zoom” camera. But that’s where things got a little messy. It turns out, the photos used in the Huawei P30 posters were not taken with a P30, as the marketing campaign implies. 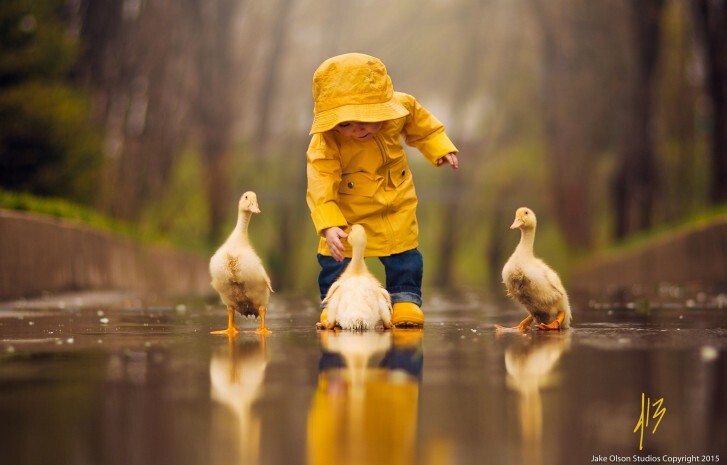 One of the images, featuring a child with three ducklings, was taken with a DSLR camera and could easily be found in the portfolio of professional photographer Jake Olson. Olson told PCMag in an email that Huawei didn’t have permission to use the photograph. But it was likely found on and taken from Getty Images where the picture is available. Another photo, featuring an erupting volcano, was taken by photographer Tom Pfeiffer in 2009, long before the P30 was capable of taking pictures. Interestingly, Huawei has faked phone camera results before. In 2018, Huawei used a DSLR for a shot in a commercial for their new Nova 3 smartphone, despite claiming the shots were filmed with the phone. A behind-the-scenes picture shared to Instagram by the actress in the commercial showed that despite making it seem as if the phone was used to take a selfie, the shot actually required a professional photographer using a DSLR. The argument, in both cases, is that Huawei never officially stated that the pictures were shot using the phones, but it was certainly implied. Since the scandal broke, Huawei has added a disclaimer to the images in question, noting that they are only meant for creative purposes. Why Would Huawei Lie About Its Mobile Photos? If the camera in the device is as remarkable as Huawei claims it is, why would they have to cheat their way through the marketing campaign? If they were going with inspiration versus reality, as they claim, why not post a disclaimer from the get-go? Those are the questions many are asking, without getting many answers. Naturally, that leaves many consumers wondering just how much they can trust Huawei, particularly in regards to their marketing. What else have they tried to get away with in an effort to sell more products? Still, it’s worth noting that the “periscope zoom” camera on the Huawei P30 is powerful and undoubtedly capable of creating stunning images. We just wish we could have seen more authenticity in Huawei’s marketing campaigns.